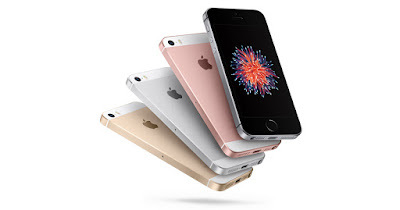 iPhone SE with iOs 9.3 Features and Review : Apple with New Style 4 inch Start up Product With 4-Inch Screen and Touch ID Fingerprint Scanner.iPhone SE Price in India,iPhone Price in UK and iPhone SE Price in USA are nearly same this time.The iPhone SE has double the processing power and four times the graphics performance of the iPhone 5S, as well as longer battery life.It will be the smallest smartphone in Apple’s current lineup and the first smartphone to be released with a screen smaller than 4.7in since the iPhone 6 was released in September 2014.The iPhone SE, with internals similar to an iPhone 6S but at a lower price, is easier to cater for with software updates because it reduces the number of hardware variants Apple has to support. The iPhone SE will be released on 31 March, with pre-orders starting 24 March, costing from $399 in the US, or £359 in the UK, for 16GB of storage; $499 in the US, or £439 in the UK, with 64GB of storage.The new version includes multiple updates to the CarPlay system for in-car entertainment connectivity, the ability to secure apps such as Apple’s Notes app with a fingerprint sensor and greater personalisation options for the company’s News app. But the biggest change is the addition of Night Shift, a mode which reduces the amount of blue light emitted by the screen. Certain wavelengths of blue light are thought to disrupt your circadian rhythm by tricking your body into thinking it is still daylight outside. That makes it harder to fall asleep. By tuning the display colours to a warmer, more reddish tone, it reduces the amount of blue light emitted and should, in theory, reduce the impact of looking at an iPad or iPhone screen before bed.iOS 9.3 will be available to download through iTunes or via the Settings app from today.